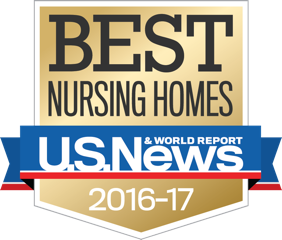 Four of Berkshire Healthcare’s skilled nursing facilities in Massachusetts have been named among the best in the state by US News & World Report. On the North Shore, Hunt Nursing and Rehabilitation Center in Danvers and Pilgrim Rehabilitation and Skilled Nursing in Peabody were among 80 in Massachusetts selected by the national magazine. Other Berkshire facilities including Williamstown Commons Nursing and Rehabilitation Center and Kimball Farms Nursing Care Center in Lenox earned spots on the list. US News evaluated more than 15,000 skilled nursing facilities nationwide, across each state and in 100 major metropolitan areas. Just over 2,000 nursing homes earned the designation as a US News Best Nursing Home.